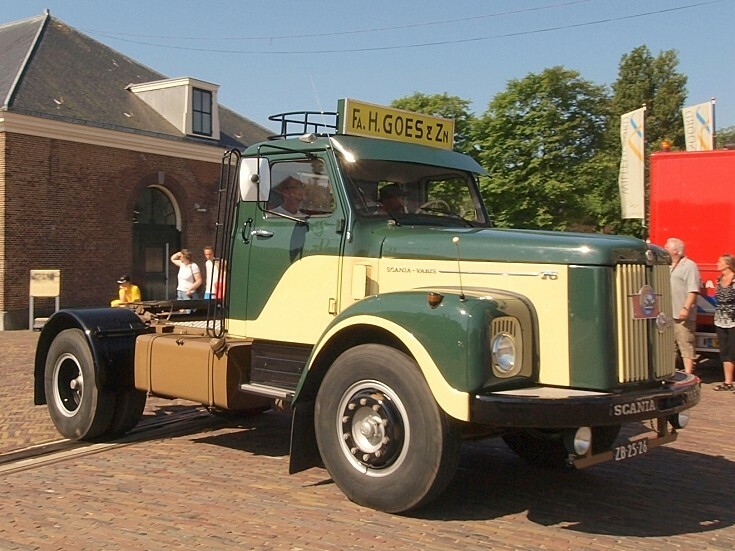 Scania Vabis T6 (1965), Dutch licence registration ZB-25-26. Photographed at 'Historisch Weekeind Den Helder', The Netherlands. See also picture #4574 and picture #4575. Excellent pictures as usual Alf. Many thanks. And great to see all of these lorries in such fantastic condition. Added by Colin (Editor) on 09 July 2010. Hi Colin, Happy to hear you like them! More will follow! Added by Alf van Beem on 09 July 2010. Ever so nice Alf, not seen one in the flesh, only a rigid. Andrew. Added by Andrew Wright on 14 July 2010.